Over the weekend I like to just relax and find simple activities to do with my family that help us connect and have a good time together. This week all activities related to flight in some way... balls soaring through the sky, airplanes flying over heads, or toys sailing down from above. My current favorite family weekend activity is Pool Noodle Baseball. 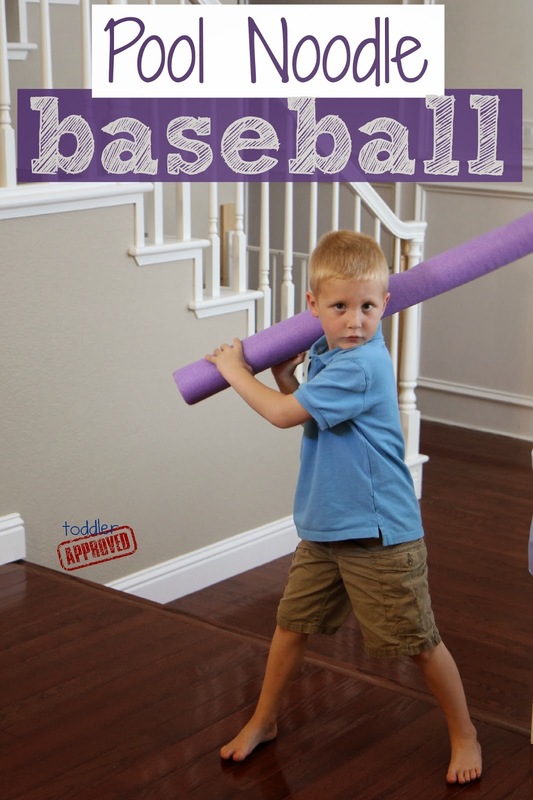 If you have ever had pool noodles lying around your house then you have probably played pool noodle baseball. Some people play it with balloons. We prefer to play it with a inflatable beach volleyball. We play it indoors and outdoors and I am pretty sure I've joined in with my daughter and begged my son for a turn to hit... it is kinda of addictive. We have also enjoyed making paper airplanes and toy parachutes. Our friends at Kiwi Crate generously sent us a free copy of the new Explore Magazine to check out. Explore Magazine is a super cool free magazine for Kiwi Crate subscribers and the one we got was all about flight! 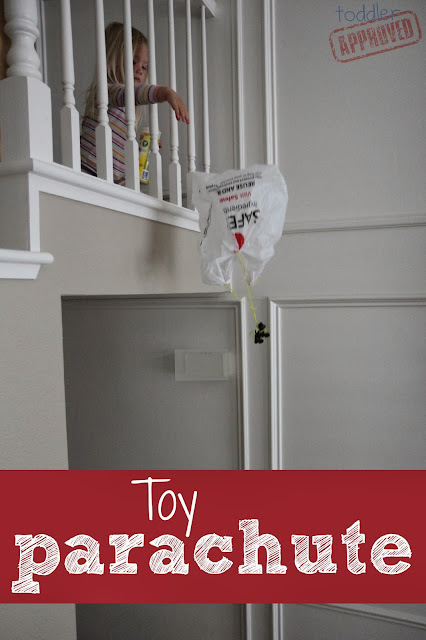 The first thing we did was make a Plastic Bag Toy Parachute using a leftover grocery bag, a small toy, and some yarn. The directions mentioned using a bandana, but we couldn't find one, so we thought it'd be perfect to use the extra grocery bags we have lying around... and it was! We also made some cool paper airplanes! Explore magazine had special color-coded airplane instructions and special paper to rip out and use. We spent half the morning relaxing making airplanes, parachutes, and playing pool noodle baseball. I loved that the activity suggestions in the magazine required very little materials. When my kids are being crazy or I am in "relax" mode an activity has to have under three materials which are easy to grab... or else it doesn't happen. Our copies of Explore Magazine have found their way into my diaper bag and we carry them around with us and love getting them out at church or on errands to keep us occupied. What a great free resource to get along with your kiwi crate! What other ways do you like to relax with your kids on the weekend? Do you have any flight themed activities you've tried that you can share with us? PS- If you want to see what other fun stuff we've been up to this weekend, follow me on Instagram- KristinaToddlerApproved. Disclosure: Thanks Kiwi Crate for the free copy of Explore Magazine that we received as a gift. We were not asked to share the magazine, but had such a good time with it that we wanted other people to know about it so that they could check it out too! Cool, very nice. I will steal it.